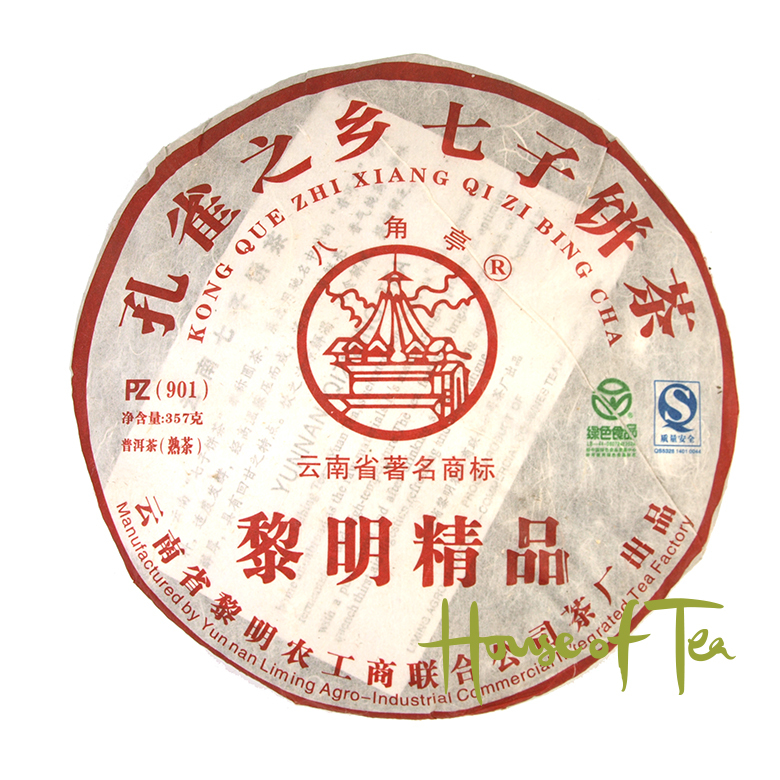 This tea cake of black Pu-erh tea is produced from high quality tea of the year 2008 harvest. The tea has a high proportion of tips. 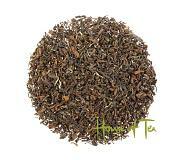 The tea comes from Menghai and Menghun area and is of the Yunnan Da Ye cultivar. Kong Que Zhi Xiang means "village of peacock" and is a nickname for Menghai County in Xishuangbanna in Yunnan province. 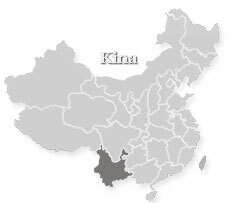 The tea is produced by Liming Tea Factory, a state-owned factory that established in the year of 1964 and is rated as one of the foremost producers of Pu-erh tea in Yunnan. This Pu-erh tea can be stored for many years. Appearance: A cake in the form of a round cake with pressed tea. Gives a golden beverage.